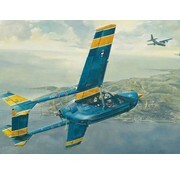 Plastic model kit of the Cessna O-2 Skymaster, (Oscar Deuce) is a military version of the Cessna 337 Super Skymaster, used for forward air control (FAC) and psychological operations (PSYOPS) by the US military between 1967 and 2010. 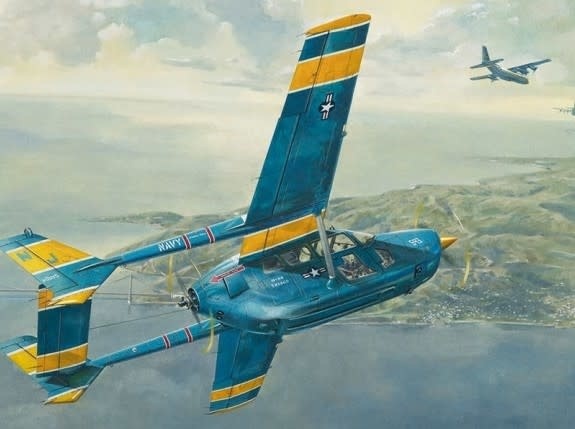 In 1966 the United States Air Force (USAF) commissioned Cessna to build a military variant of the Skymaster to replace the O-1 Bird Dog and the O-2. Decals and markings for 'white 593', s/n 67-21363, US Navy, VFA-123 Rough Raiders, Nevada, 1985.